When they started in 2011, Delhivery wanted to solve the ‘Last Mile’ problem, one city at a time. 4 years down the line they are earning huge revenues out of it and are disrupting the logistics and supply chain industry. Delhivery, the logistics and fulfillment service provider, continued its 3 digit growth, recording a steep revenue growth from INR 52 lacs in FY 11-12 to INR 228 crores in FY 14-15. Delhivery is owned and operated by Delhivery Private Limited (earlier SSN Logistics Private Limited). The company reported a revenue of INR 228 crores in FY 14-15 against a loss of INR 71 crores in FY 14-15. This is a revenue growth of more than 250% from INR 62 crore, with a loss of INR 19 crores, in the previous financial year. 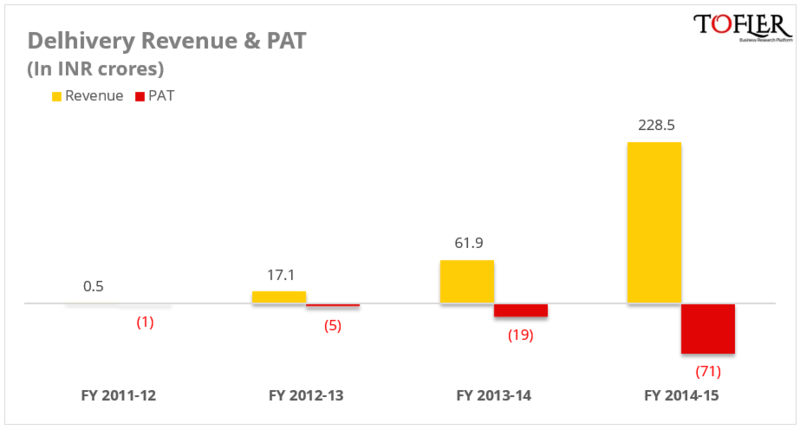 In comparison, one of their major competitors Ecom Express, had reported a revenue of INR 150 crores with a loss of INR 49 crores in the same period. As per the documents filed with the Registrar of Companies, one of the major expenses for the company was the Employee expense which stood at 16% of the total expenses. Interestingly, ‘Other Expenses’ accounted for 82% of the expenses, but the documents did not mention any break-up of the same. Delhivery was founded by Bhavesh Manglani, Suraj Saharan, Sahil Barua, Mohit Tandon and Kapil Bharati in June 2011. It provides ecommerce companies with its infrastructure to build upon their idea. If you are a merchant and want to create a channel to fulfill your orders or want to track and analyze the demand of your product, you can use their expertise. Delhivery claims to be the largest ecommerce enabler in the country providing omni-channel, fulfillment, logistics and customer services to its clients. According to their website, they cover 350 cities and have a client base of 2000 which includes Flipkart, Snapdeal, Paytm and Myntra among others. In May 2015, Delhivery raised INR 507 crores to fuel the ambitious expansion plan across India. Overall it has raised INR 757 crores so far, from Tiger Global, Nexus Ventures, Times Internet and Multiples Private Equity. Delhivery has also made key investments in four startups – Parcelled, Opinio, RocketBox and QikPod in 2015. Delhivery’s major competitors include Ecom Express, GoJavas, DotZot, among others. Among the traditional players in the space are FedEx, DHL and Blue Dart, who are facing stiff competition from these new entrants who have built their business focusing and riding upon the e-commerce wave in India. Delhivery has so far emerged as the leader in this space both in terms of revenue as well as funds raised. Offering a unique value proposition of Plug-and-play to all kinds of online retailers and providing tools to manage their end to end operations, Delhivery seems all set to dominate this space. 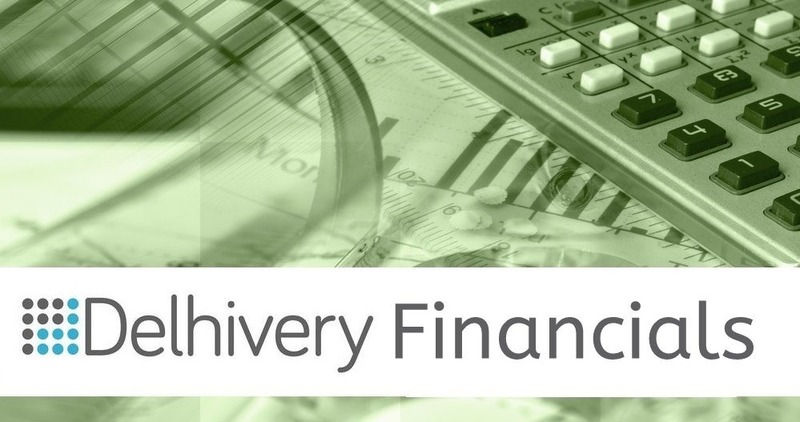 "Delhivery Financials: Revenue Grew 250% at INR 228 Crore, INR 71 Cr Loss [FY 14-15]", 5 out of 5 based on 4 ratings.